Today I just noticed that the test realm was released! 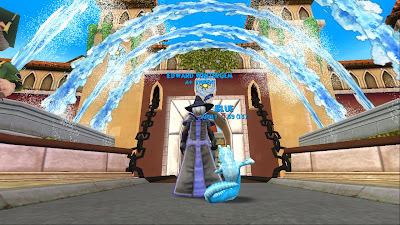 Now, I haven't been having too much fun before the test realm was released. 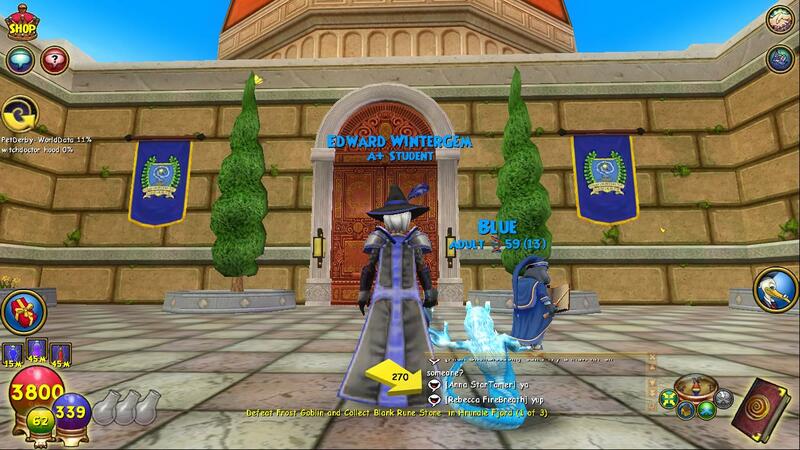 Before I wasn't really wanting to get on wizard101, until today! 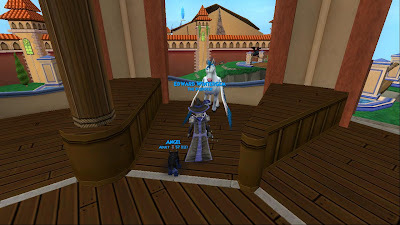 Today I decided to test out the new world, Wysteria. 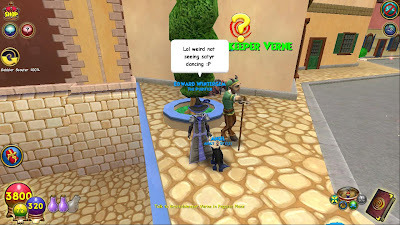 If you ask me, it is a very nice world, and It actually made me feel like I was a new wizard when I first started playing it. When you first start wizard101 you talk to all of the professors and they are all new to you, well you also talk to all of the professors in Wysteria! Here is one of the professors that I decided to take a picture of. 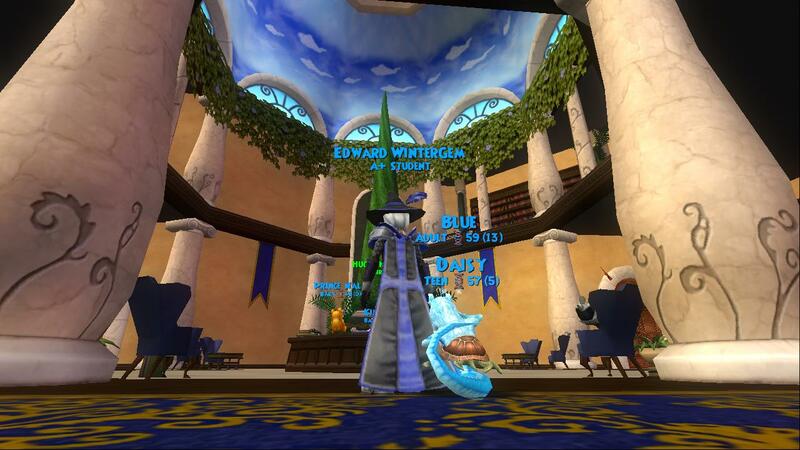 There are 4 professors in Wysteria! It was fun talking to them, just like talking to the professors when you start wizard101. I think the best part of this was that I did seeing Pegasus horse in this new world! 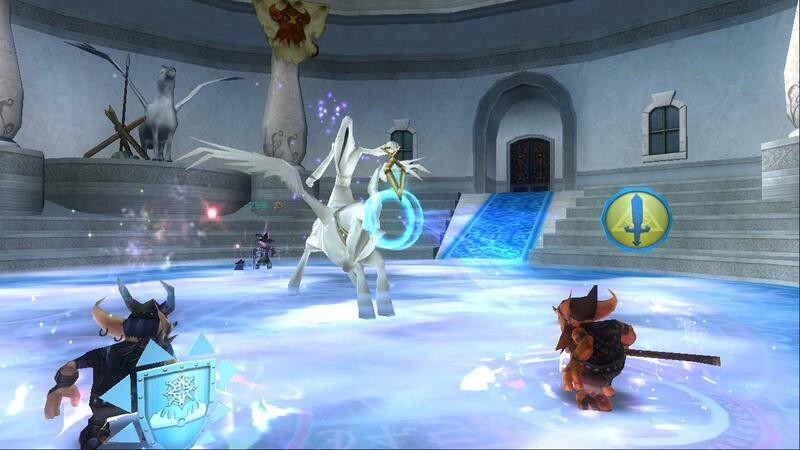 They also mentioned them as being mounts when reading a quest! I took a photo of this mount so everyone could see! I am glad they did make a mount like that! I hope it will be released soon if it is a mount. Knowing that we don't have them right now, I am sure they will be released soon if they mentioned it in a quest. Also, don't forget, in the quest in Marleybone, Celestia was mentioned. 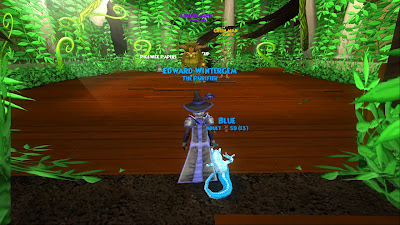 Since this mount was mentioned, maybe it will become a mount soon! That would be very awesome. I would take the one in front of me since it matches my school. It would be awesome if there was one for each school, and all of them would look different! This may be a spoiler alert for those who don't want to see. 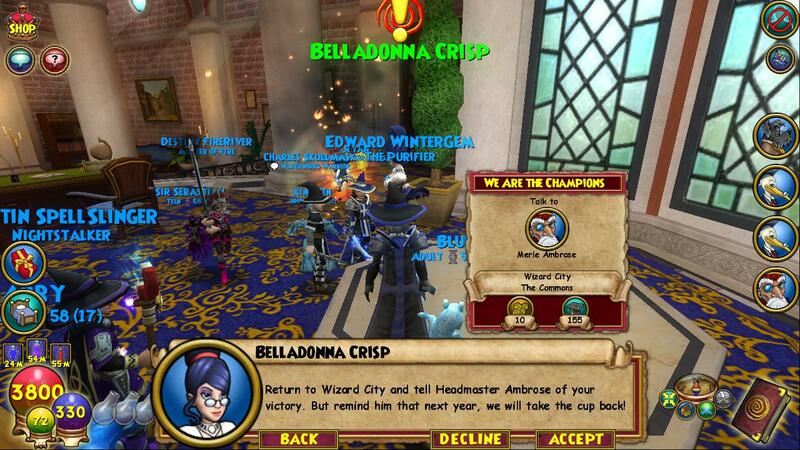 So do read this if you don't want to find out the story line of Wysteria just yet. 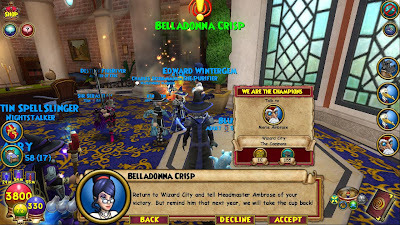 During this story line, It really did seem that the headmaster of this school was really blaming Professor Ambrose, and talking bad about how Ravenwood School of Magical arts was. When she was talking about Ambrose, and the school I kept thinking that maybe she was the bad one. Throughout the story line it kept getting mysterious! Another one I thought was bad was Randolf, he kept saying he was going to win the competition, and when the reward was stolen, I thought that he may of been the one to frame me for stealing it, and he could have won from me being disqualified from this competition.. Until the very end, The Earth teacher was the one who did frame me, but he was under a spell, and I finally saved him! Well, You finally made it to the end of the blog post. I hope you enjoyed this post, and here are a couple of other photos of the new world if you would like to look at them. Oh and maybe there will be more of a story line to this some time later. I really did enjoy this Kingsisle, and thanks for bringing back Wizard to Wizard101!